The Gigaset A220 phone is an excellent phone with many useful features. The Gigaset A220 is comfortable to use and its keyboard allows you to perform various tasks: simply press the lighted speaker button to start talking through the speaker. The Gigaset A220 phone is an excellent phone with many useful features. The Gigaset A220 is comfortable to use and its keyboard allows you to perform various tasks: simply press the lighted speaker button to start talking through the speaker. 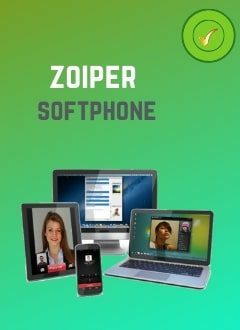 When you receive this phone at home or in the office, just take it out of the box and start using it, because it is preconfigured. Designed to simplify calls, its bright graphical display is easy to read and navigate. Its pressure sensitive keys also make it easy to dial and move through the terminal menus. You can talk hands-free at any time during a conversation at the touch of a button. The Gigaset A220 has a talk time of 18 hours, an agenda of 80 recordings and you can see the list of the last 25 incoming calls, missed calls and the last 10 outgoing calls. Keyboard light and sensitive to pressure. List of the last 25 calls received and missed. Supports up to 4 additional terminals. 2 simultaneous calls (1 external and 1 internal). Transfer of the agenda between the terminals. Group call in incoming calls. Free internal calls between terminals. Size of the terminal: 151 x 47 x 31 mm.